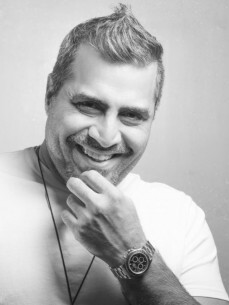 Shailendra Singh is a Serial Entrepreneur, India’s Entertainment Maverick and Asia’s #1 Music Promoter. As the Inceptor of Percept Ltd – India’s first and largest entertainment, media and communications conglomerate - he has changed the game with each and every one of the twenty three startups he has unleashed across advertising, talent management, sports marketing, feature films, intellectual properties, corporate social responsibility and many more. After executing 2000+ of India/world’s largest events and realizing the uniting power of mostly lyric-less, energy focused dance music, Shailendra incepted Sunburn as a small experiment on a Goan beach in 2007. Headlined by Carl Cox, Axwell, Above and Beyond, the first edition of Sunburn was a cult success. Just seven years later in 2014, the IMS APAC Business Report listed Sunburn as the 3rd largest dance music festival in the world, ‘as big as Tomorrowland and Ultra’. With over 900 events in ten years (festivals, arenas, campuses and tier II cities) and importing the biggest talent in the world – SHM, Hardwell, Martin Garrix, DVLM, Armin van Buuren, David Guetta, Paul van Dyk, Deadmau5, Tiesto, Marshmello, Paul Oakenfold, DJ Snake, Afrojack, KSHMR and more - Shailendra Singh is unquestionably Asia’s top music promoter and the only Indian to feature in the 50 Most Powerful People in EDM (inthemix 2014). Realizing that India’s dance industry would have to reinvent itself to survive, and consolidating a lifelong journey of giving back, Shailendra launched Guestlist4Good (G4G) in 2015. G4G’s mission is to raise awareness and money to ensure that every child gets the education they deserve. They do this by uniting the world of entertainment to make a positive social difference; rebalancing the equation between commerce, creativity, and cause. The first artist to accept the invitation to perform for free for the cause of education was world #1 Hardwell. G4G put 100,000 fans on Hardwell’s personal guestlist to witness the show for free and the sponsorship money raised was used to educate 18,200 children on the award winning Magic Bus NGO programme. The World’s Biggest Guestlist featuring Hardwell on Dec 13, 2015 was the most attended Facebook event in history, broadcast to 112 million people from 91 countries around the world and celebrated by the United Nations. Martin Garrix agreed to perform on Nov 15, 2016 for 50,000 fans to educate 10,000 more children. G4G took things to the next level with the World’s Biggest Guestlist Festival, Dec 2 & 3, 2017. Day one featured ‘Made in India’ : an all Indian lineup of superstar artists performing on a festival stage for the very first time. On day two, Hardwell returned and brought his friends – W&W, Kill the Buzz, Suyano and SHAAN. The festival was ‘the biggest entertainment-for-good event to happen on the planet, entertained 148,000 fans on ground and supported the education of 100,000 underprivileged, Indian children. Shailendra and Guestlist4Good have already announced the next step in the movement to unite the world of entertainment; The World’s Biggest Guestlist 2020 : 20 Global Cities | 20 Concerts | 1 Cause – the education of underprivileged children on six of the seven continents. Shailendra is also the bestselling author of F? @k Knows, F? @k Knows : Dead or Alive and the True Story of Sunburn. He is an award winning writer, director and producer of feature films, as well as short films for India’s third largest shorts platform, Long Story Short Films.